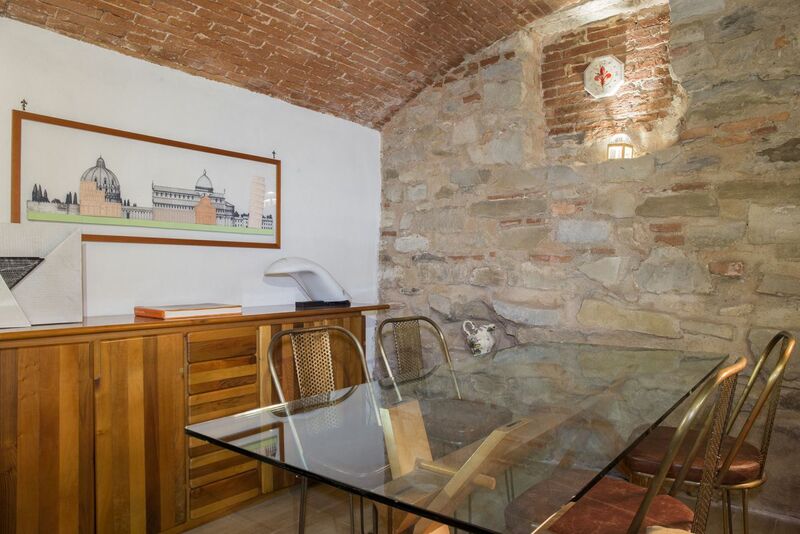 Just outside the historic city center, in a quiet residential area about 20 minutes walking distance to the central station. 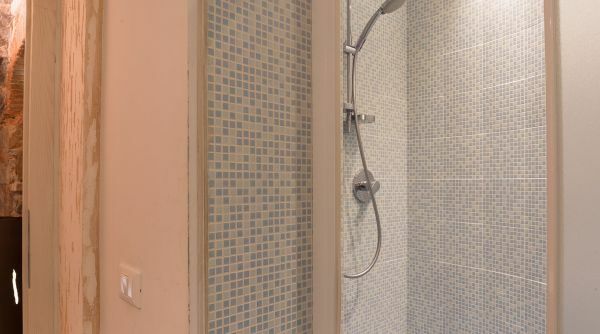 Located outside the limited traffic zone, an added bonus for those travelling by car. 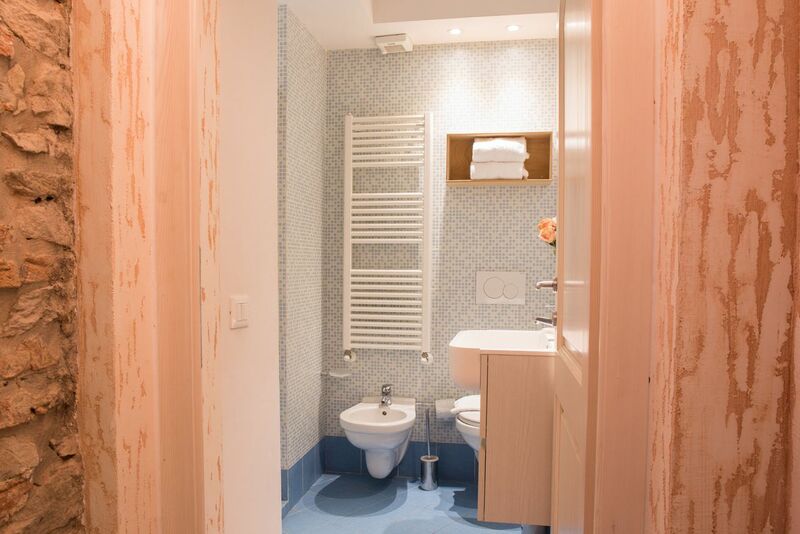 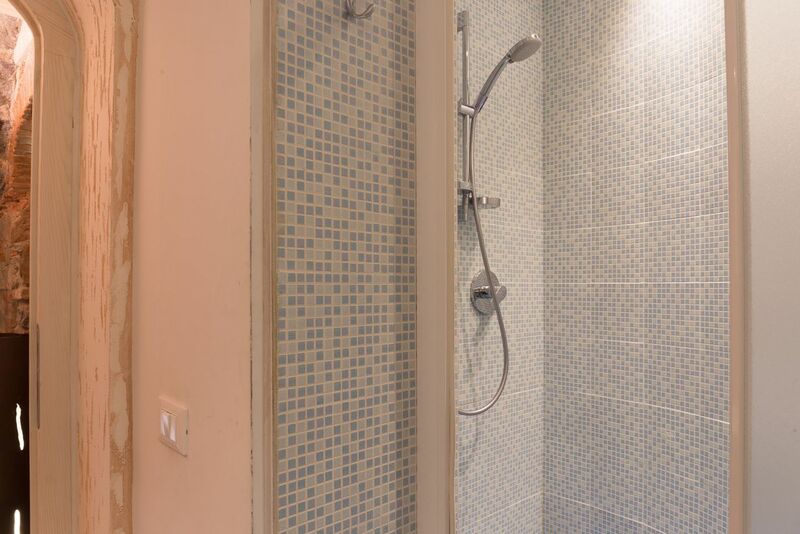 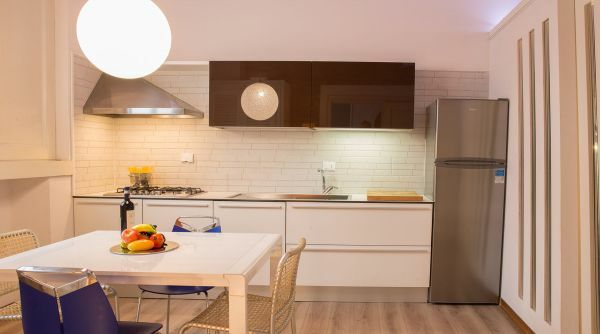 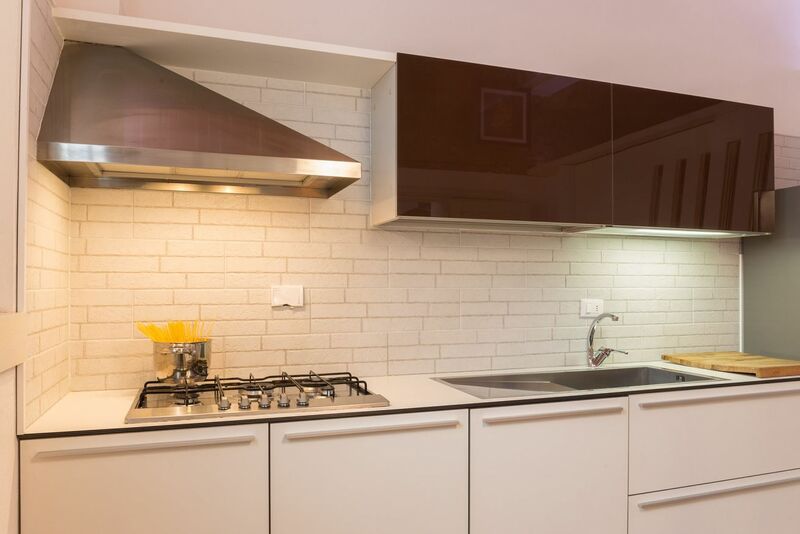 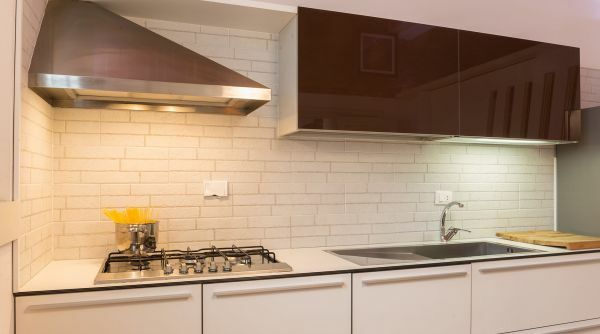 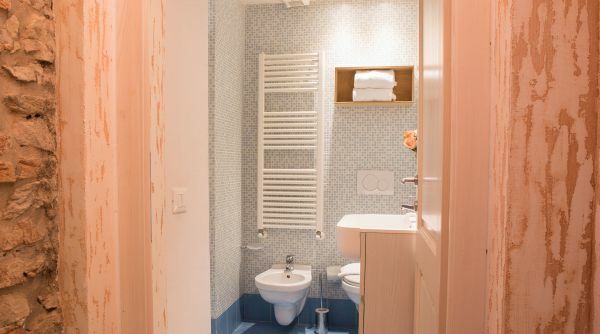 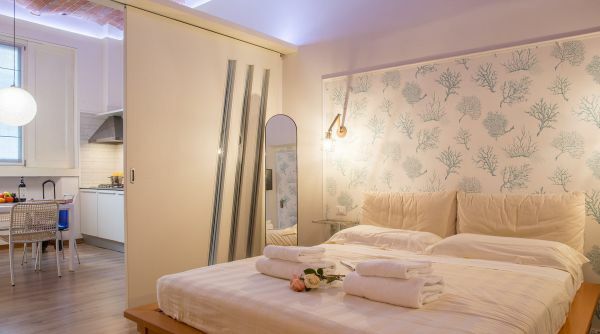 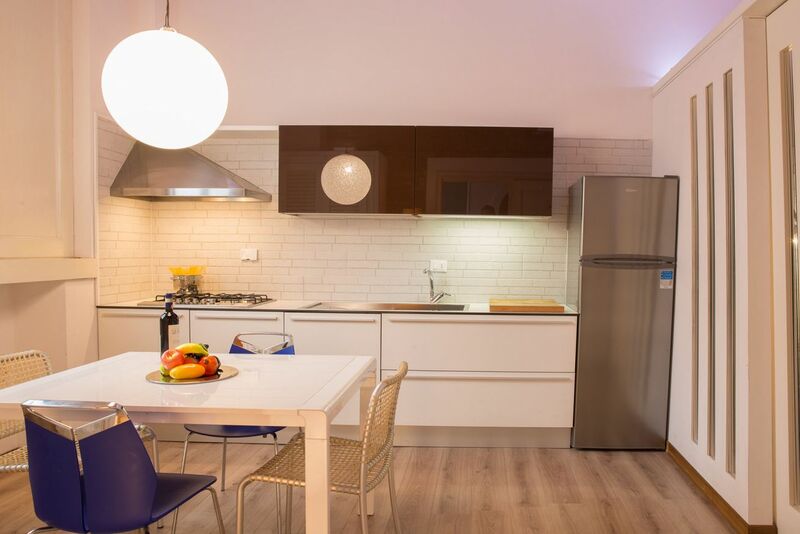 The apartment consists of a modern and well equipped kitchen, a double bedroom, a beautiful bathroom with shower, and a basement with 2 sofa beds. 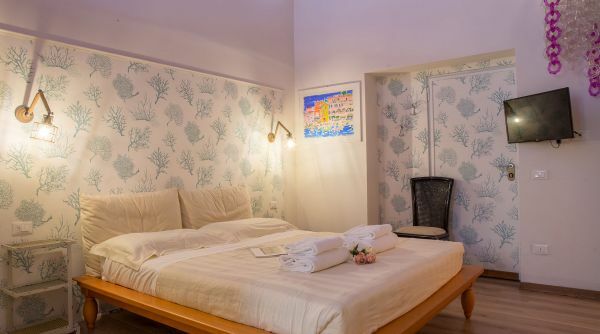 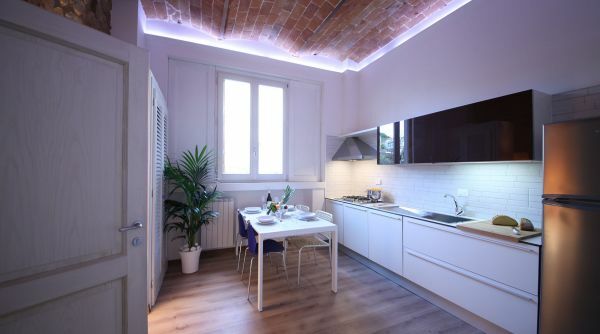 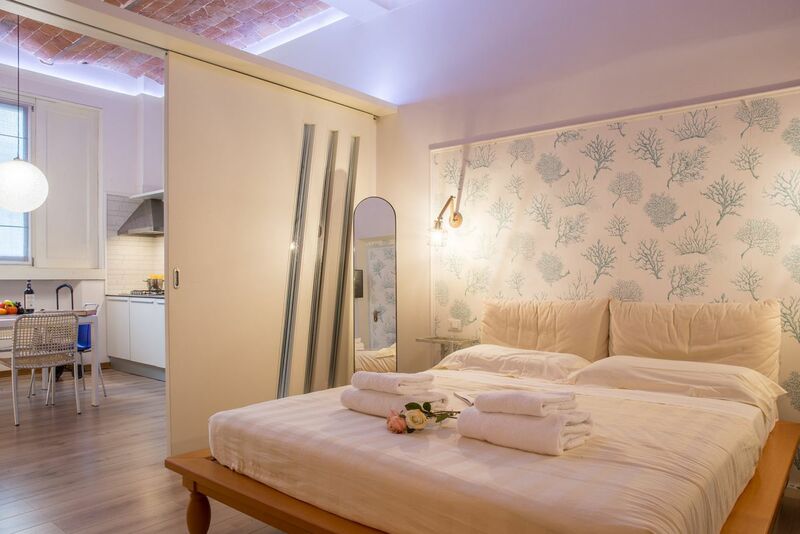 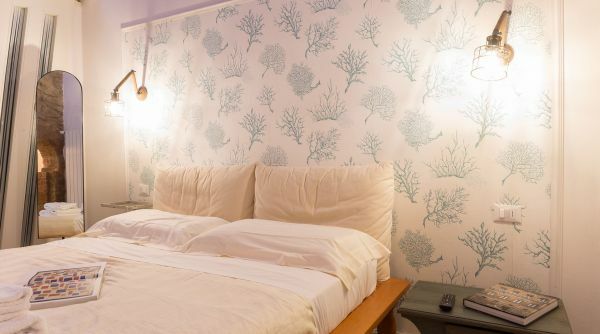 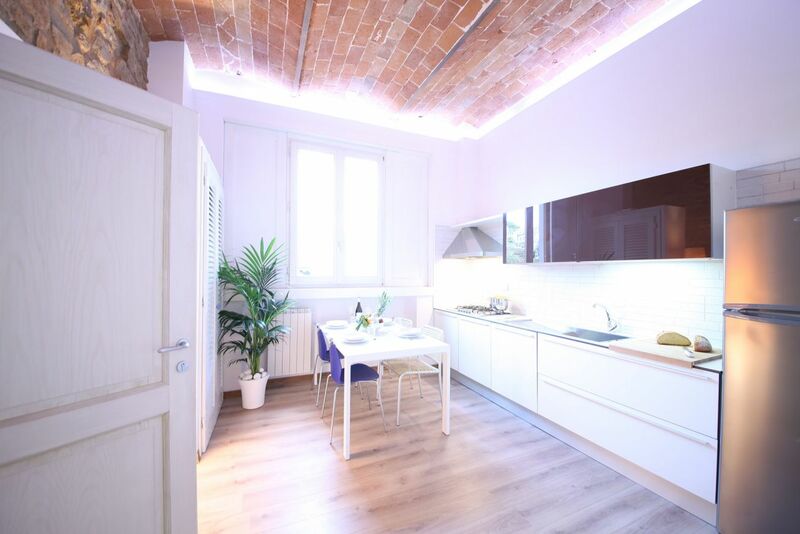 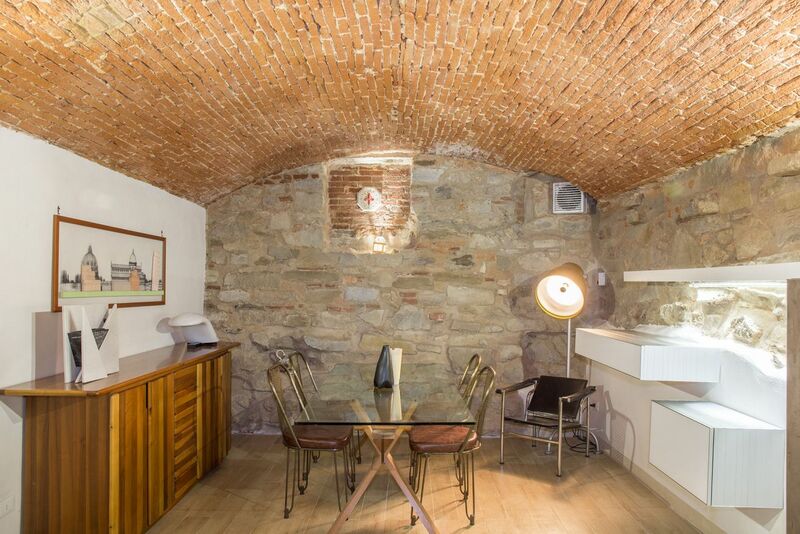 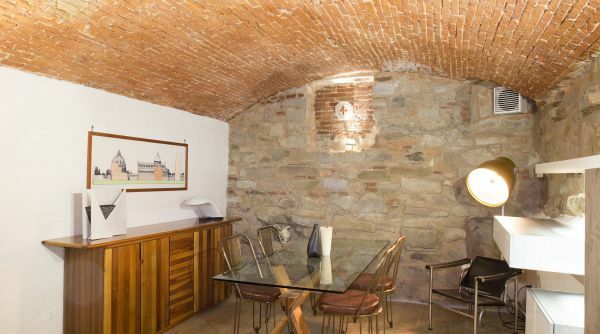 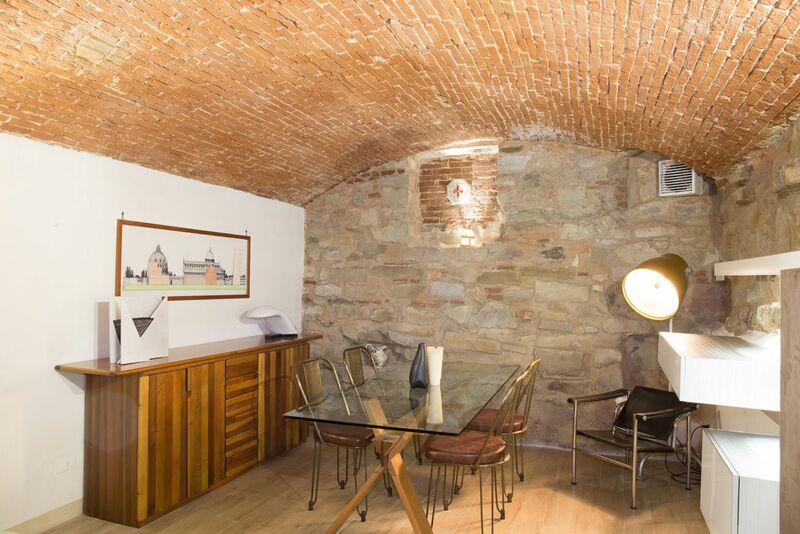 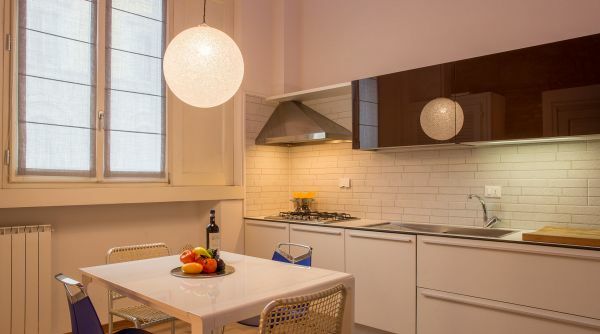 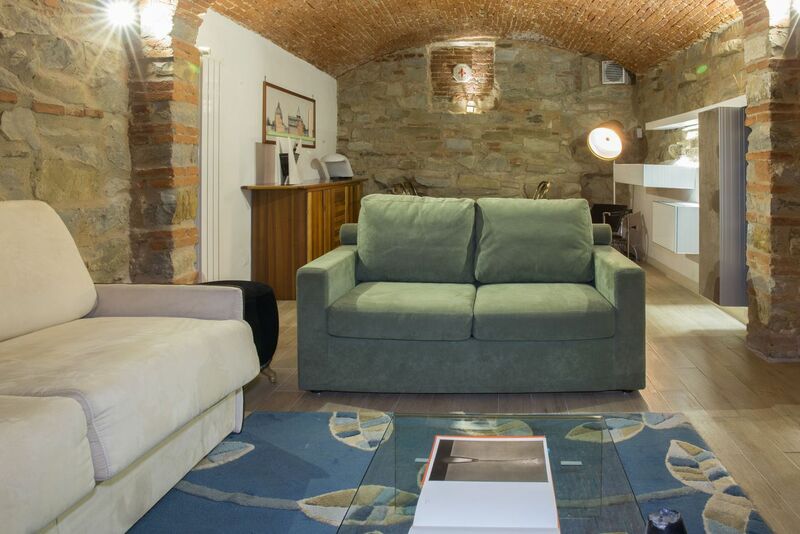 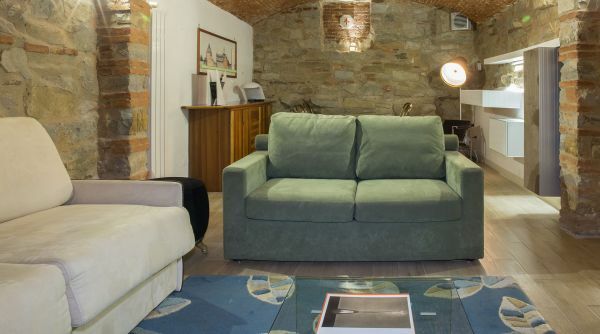 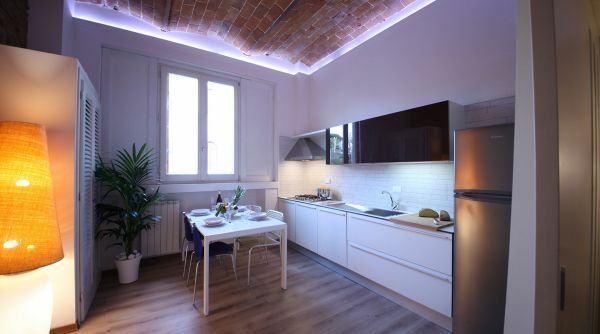 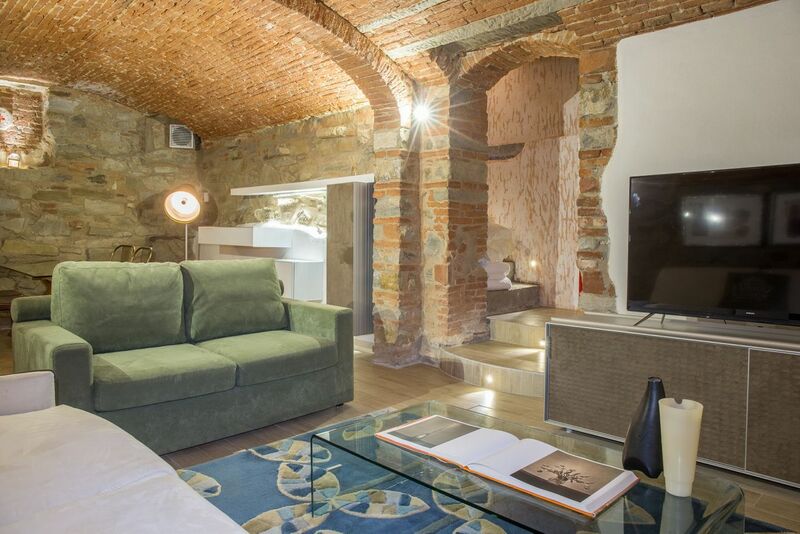 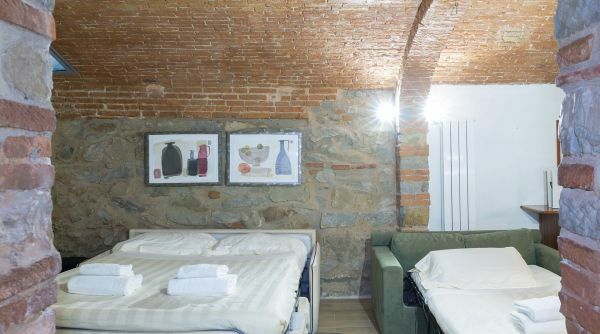 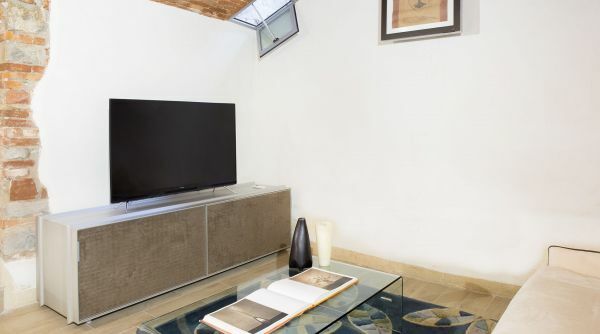 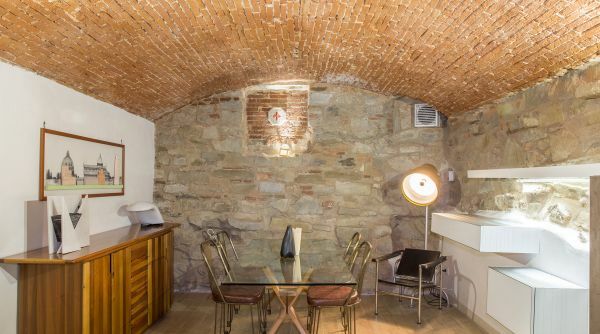 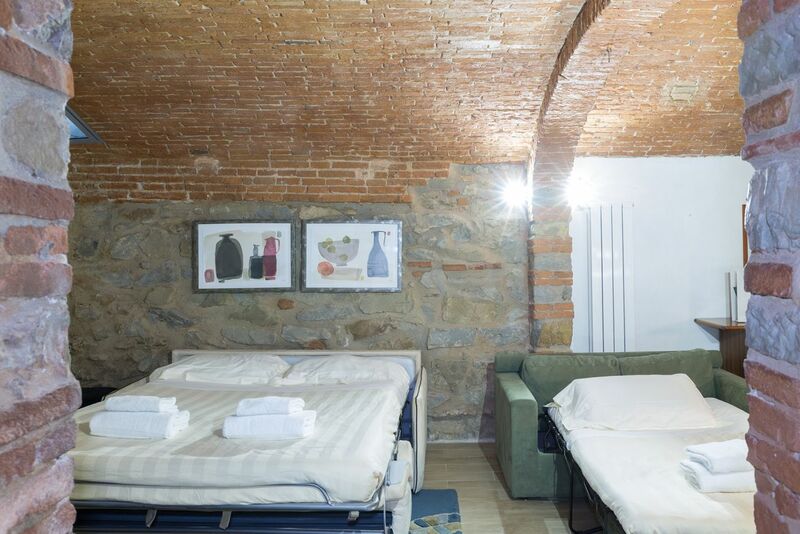 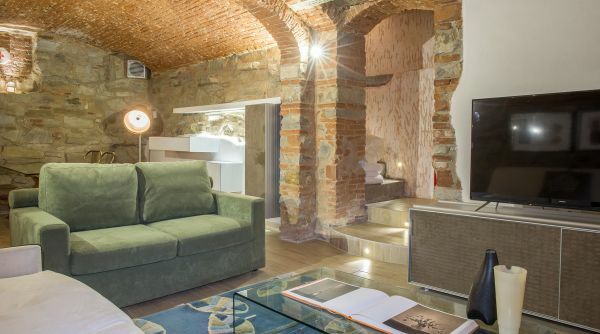 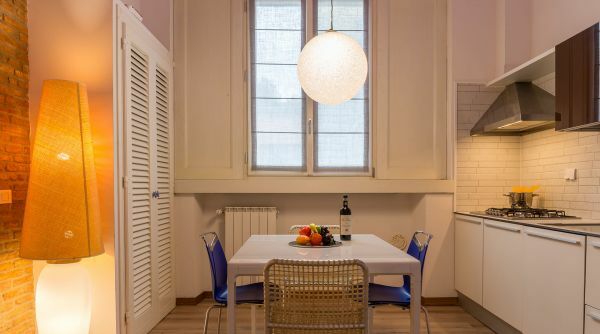 The apartment can comfortably accommodate up to 5 guests, but larger groups may want to consider renting "Giglio Rosso", which can be connected to Giglio Azzurro and can host an additional 3 guests. 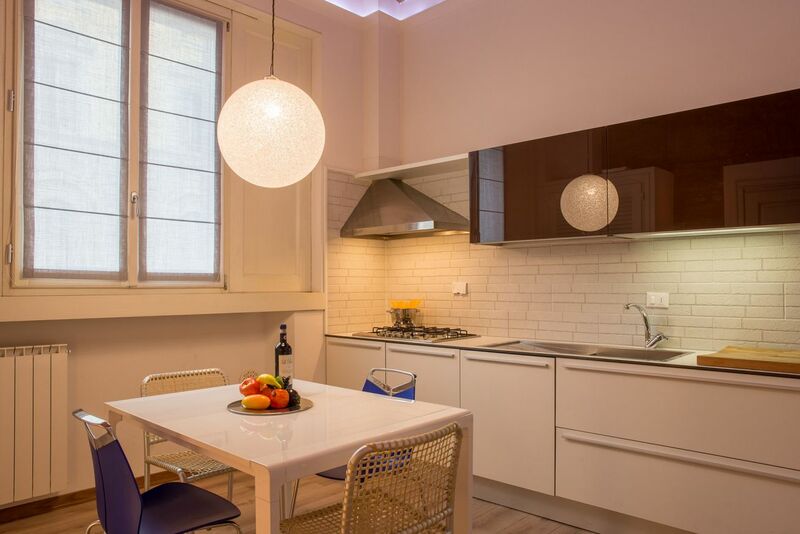 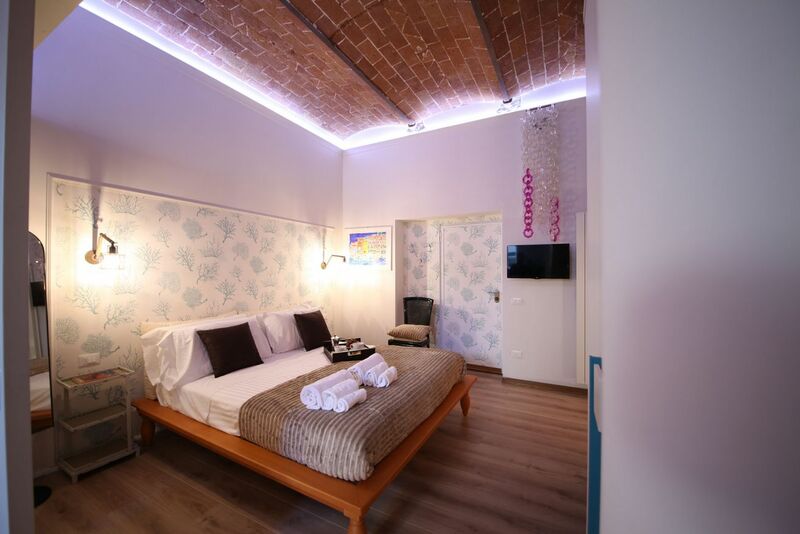 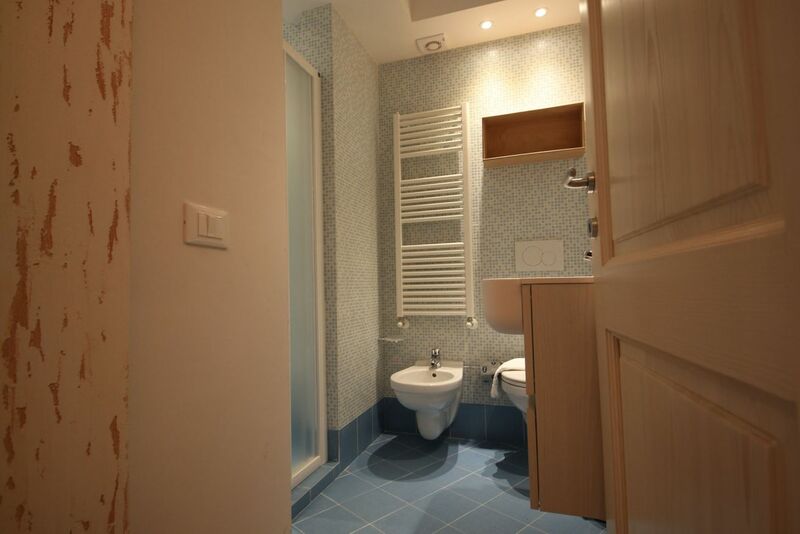 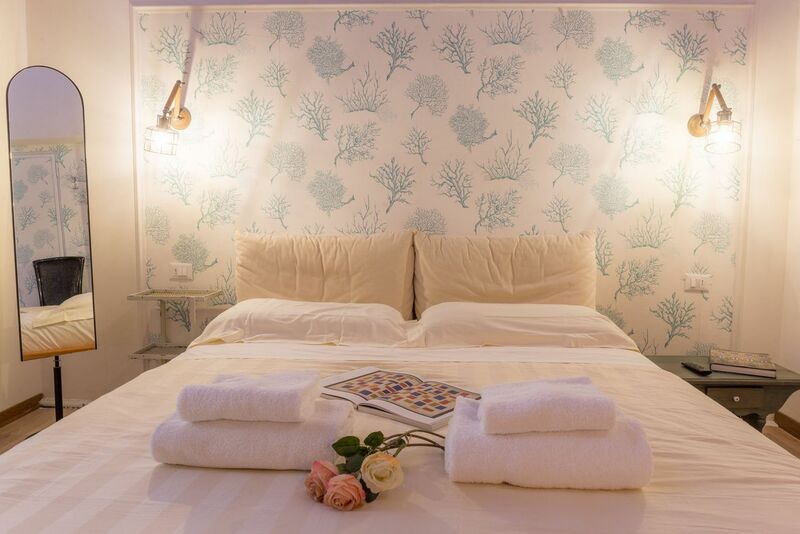 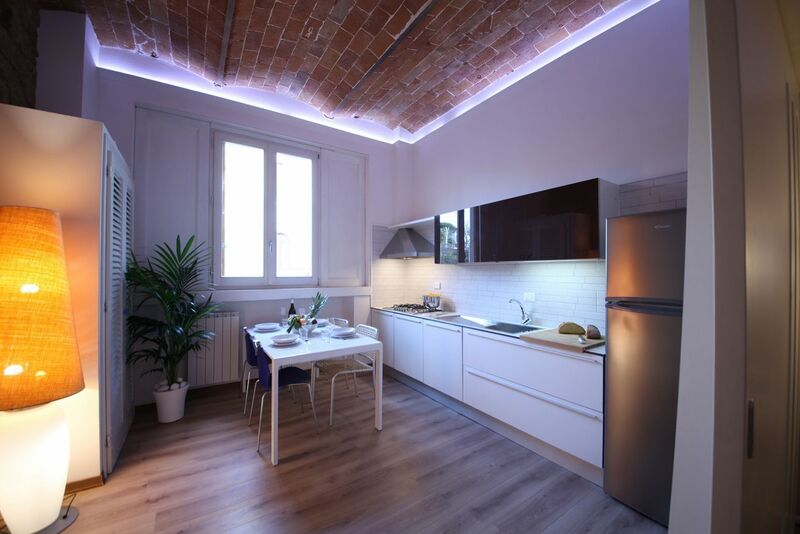 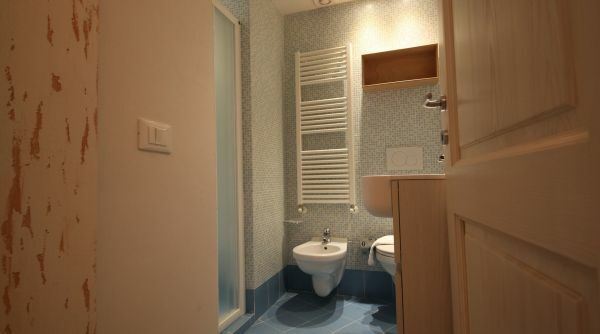 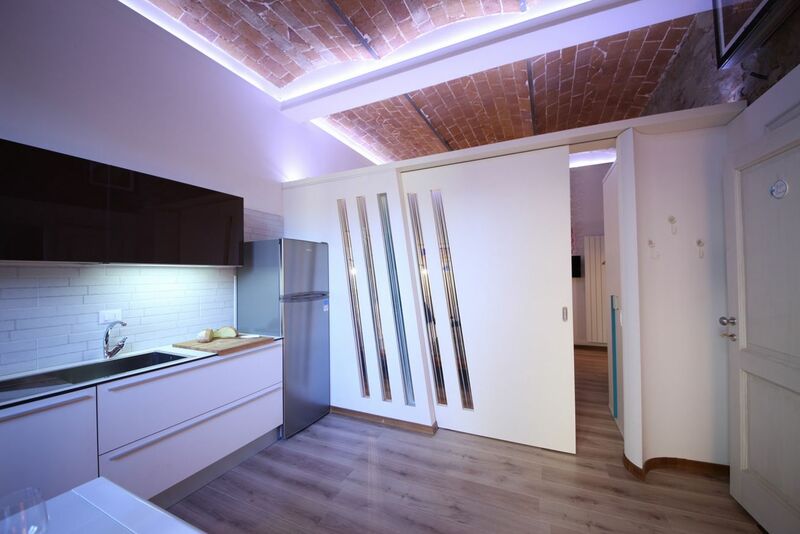 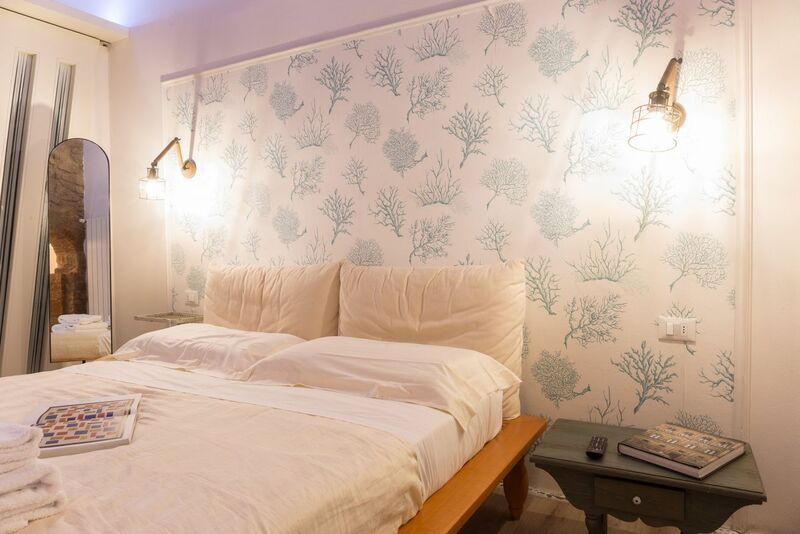 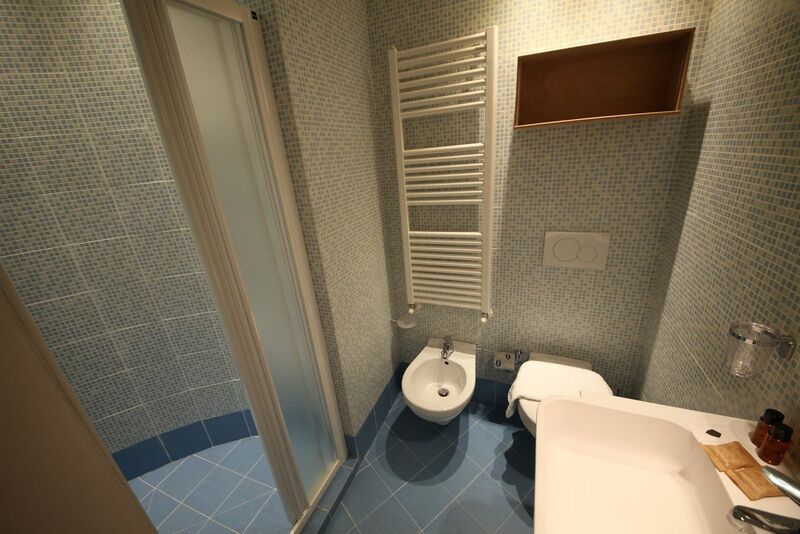 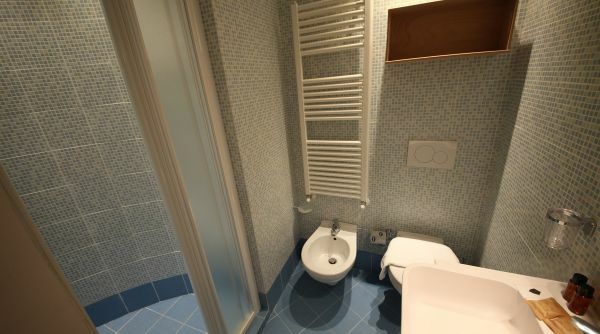 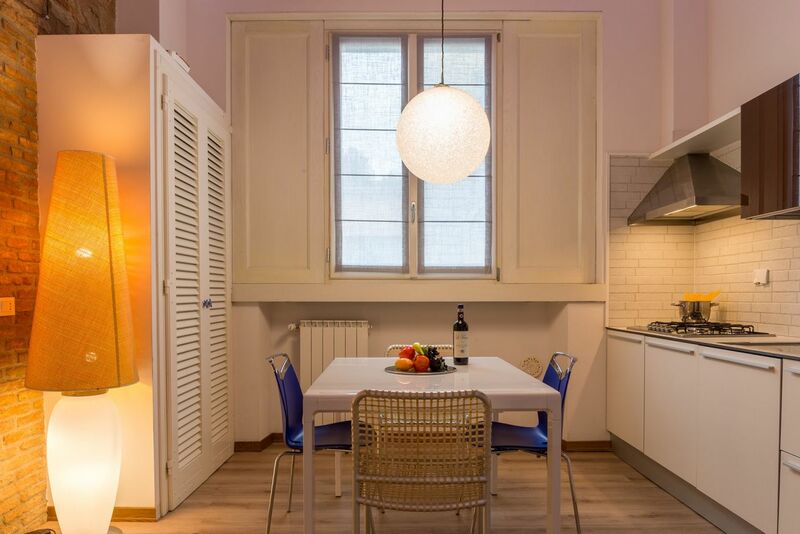 Giglio Azzurro stylish modern apartment with unlimited Wi-Fi, air conditioning, and independent heating. 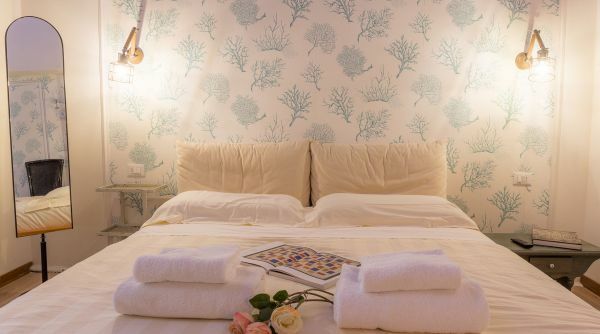 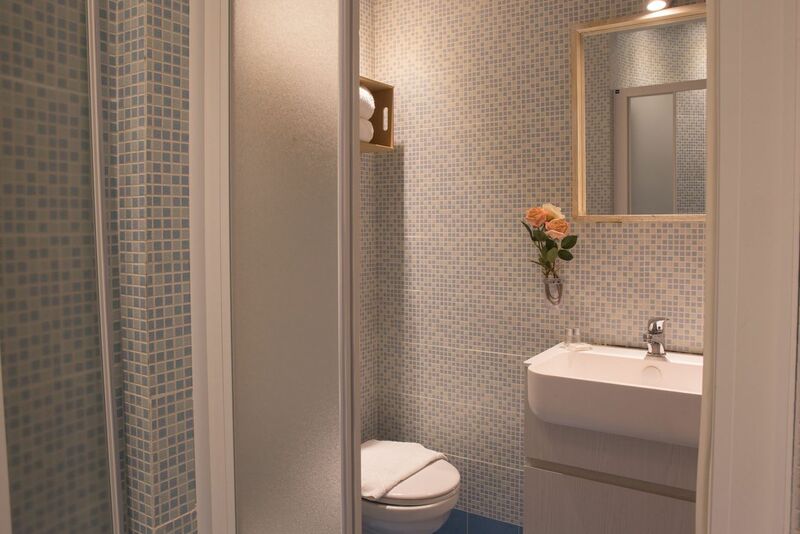 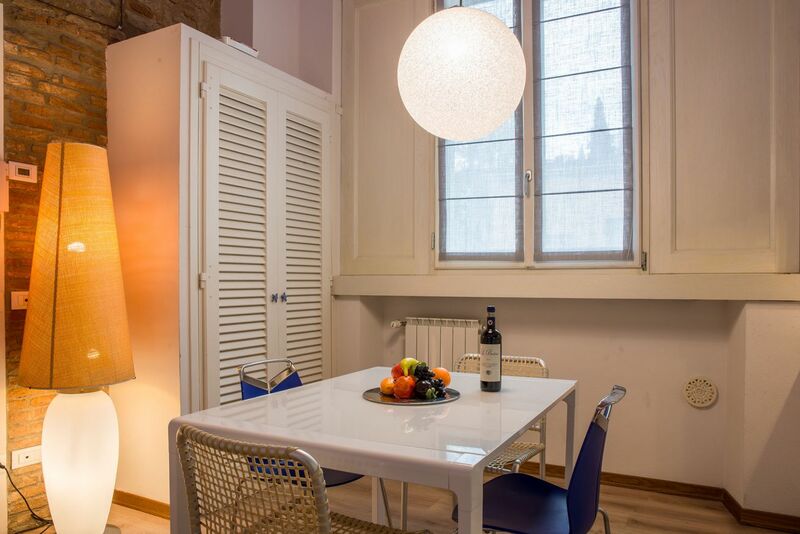 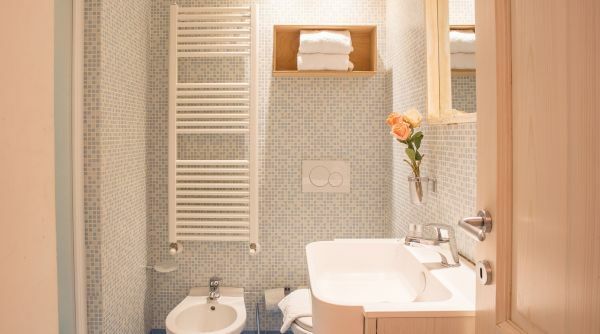 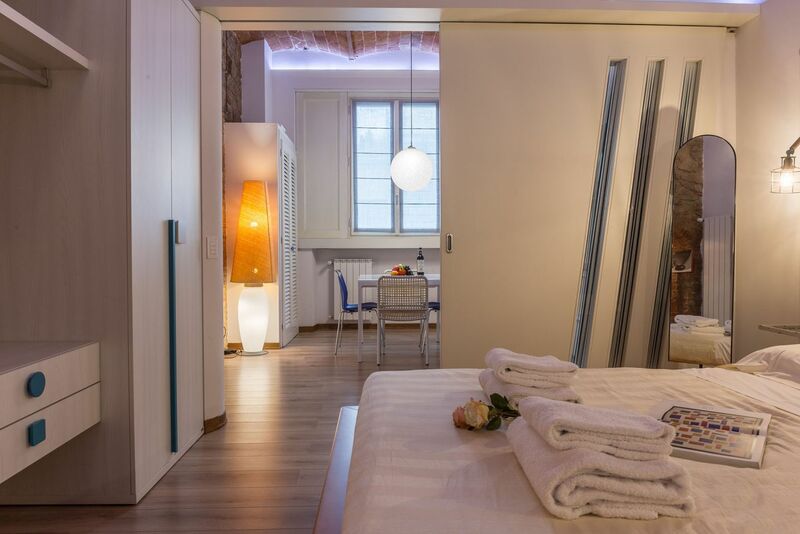 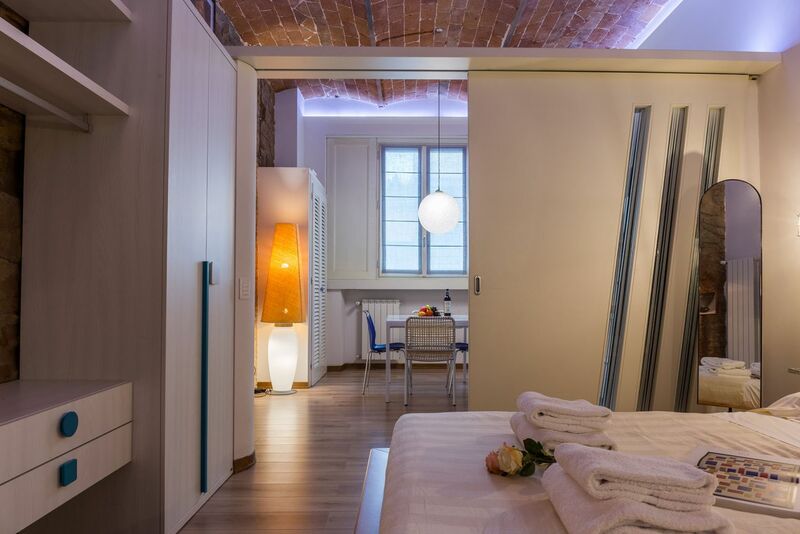 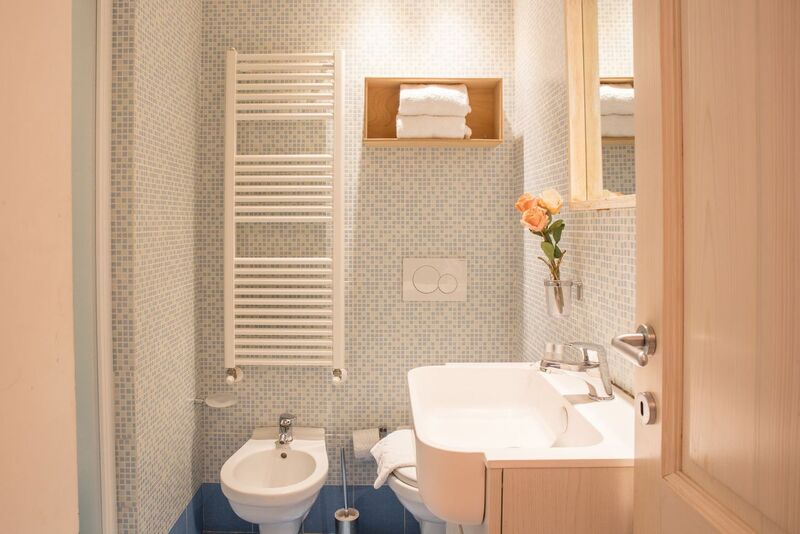 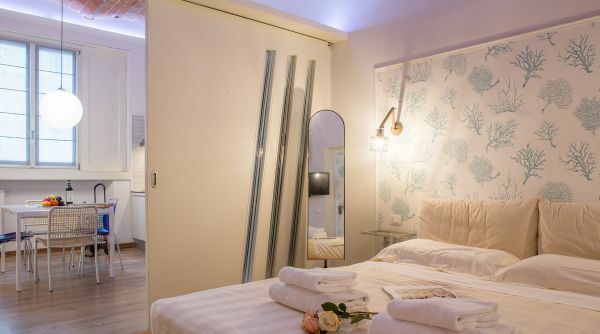 Giglio Azzurro is part of a small complex located in via Vittorio Emanuele II in Florence, a quiet residential area just outside the historical city centre. 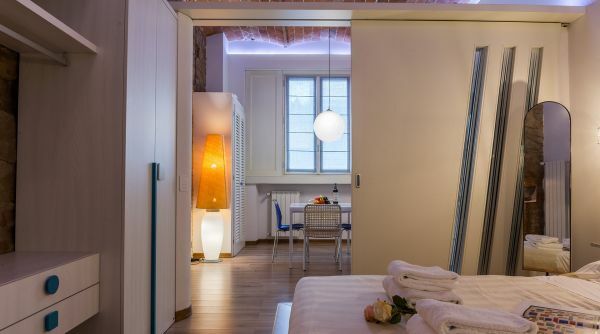 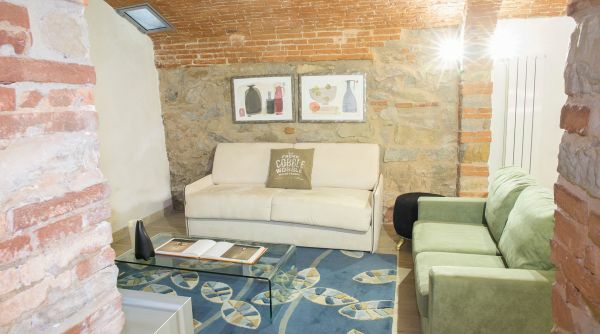 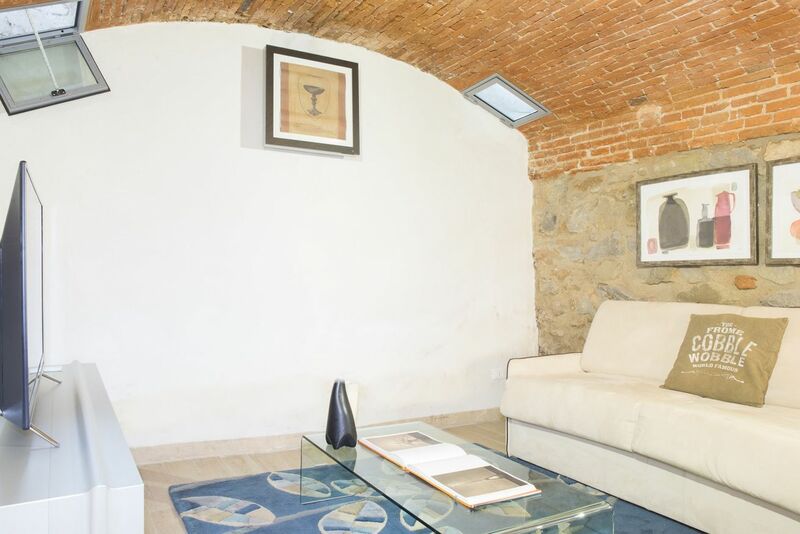 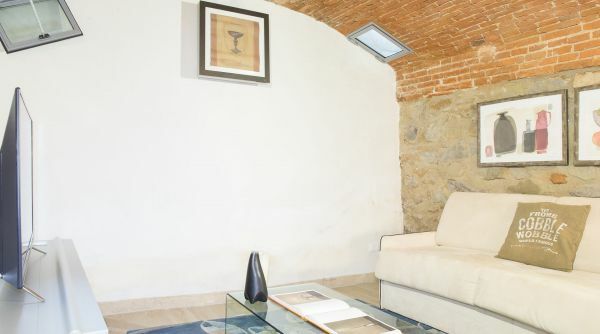 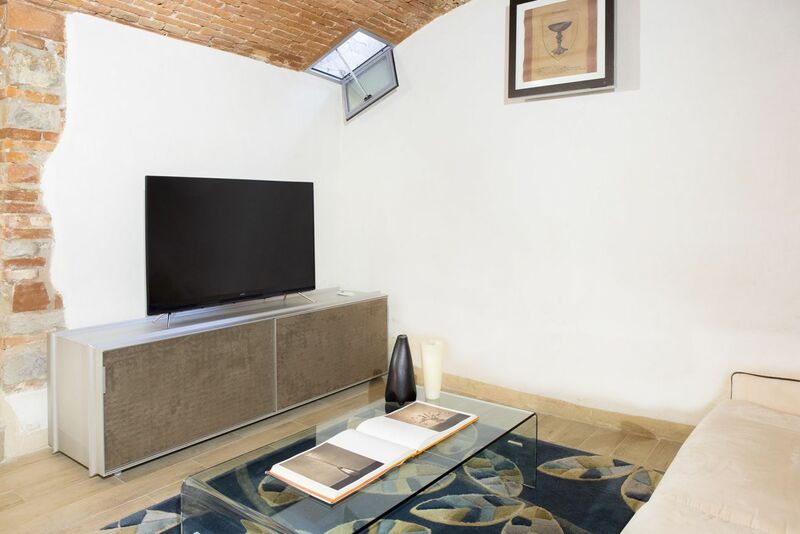 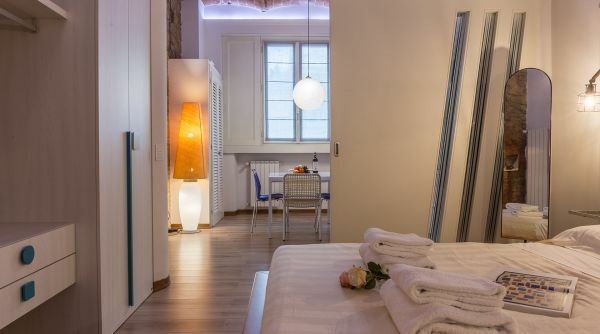 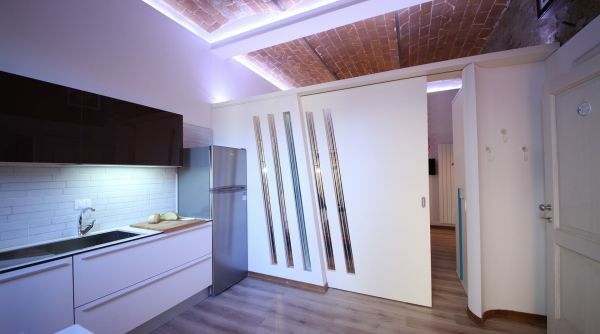 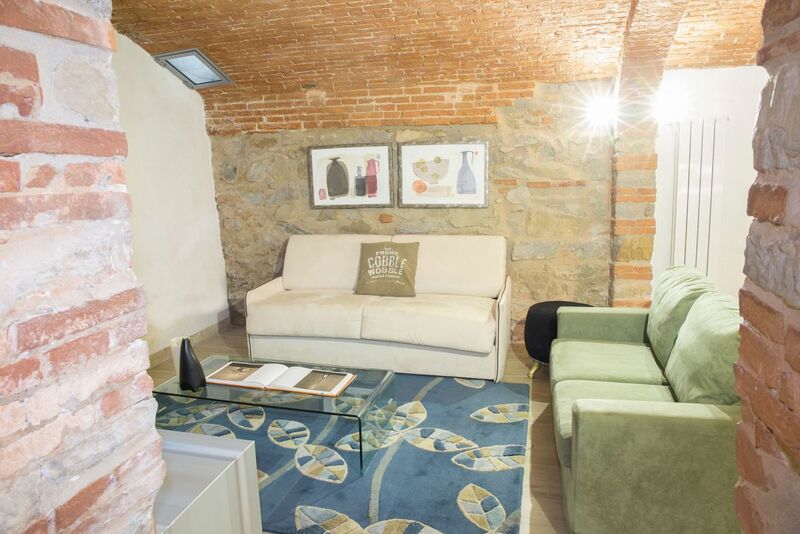 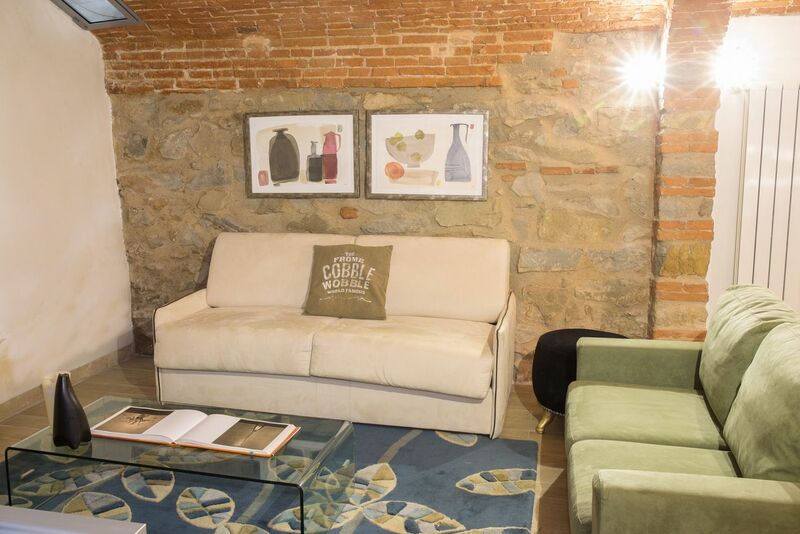 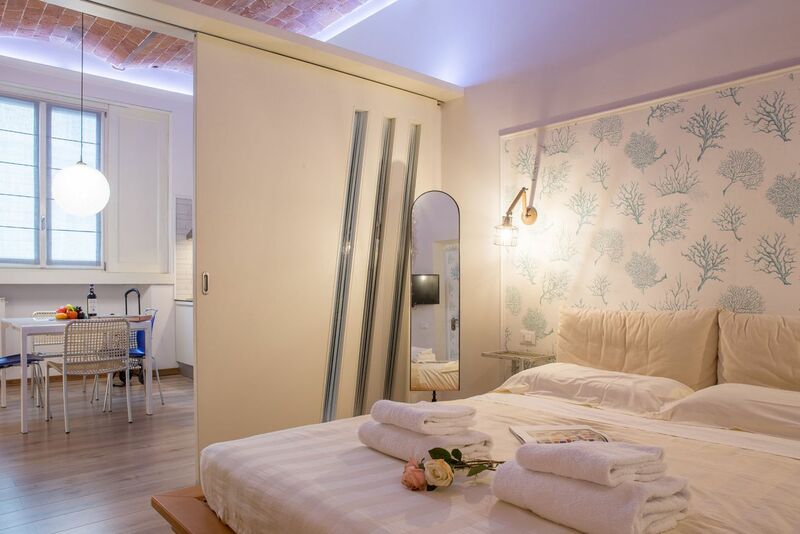 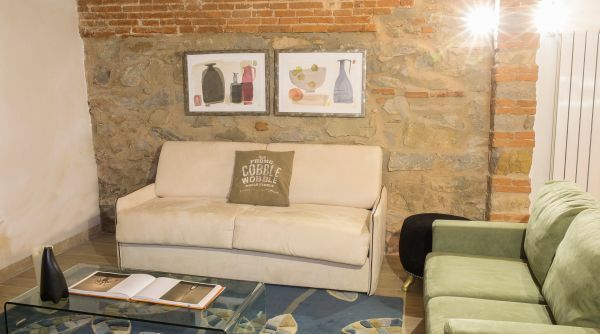 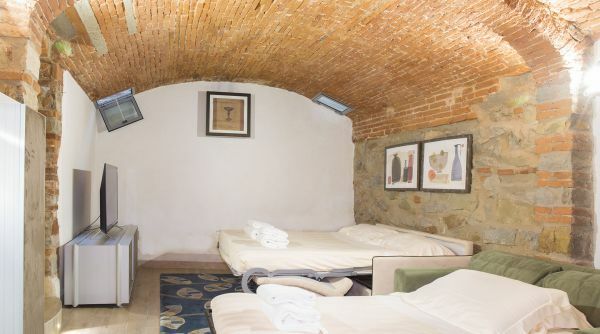 Since the apartment is located outside of the limited traffic zones of the historic city center, the property presents an ideal solution for those travelling by car. 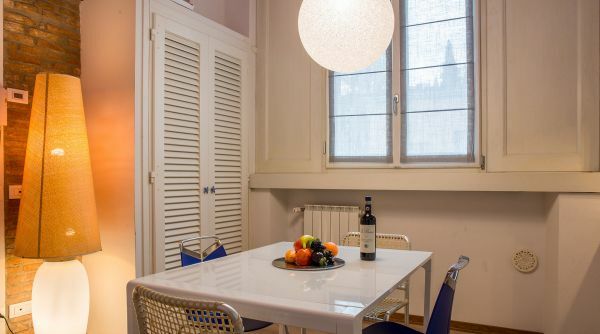 About 20 minutes walking distance to the central train station, and to many major monuments including the Duomo of Florence and the Galleria dell'Accademia. 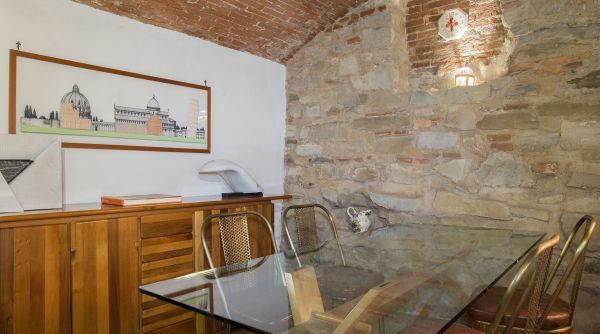 In the immediate vicinity we recommend a visit to the Stibbert Museum, just a kilometre away, which offers an outstanding collection of weaponry and armor that will leave you speechless! 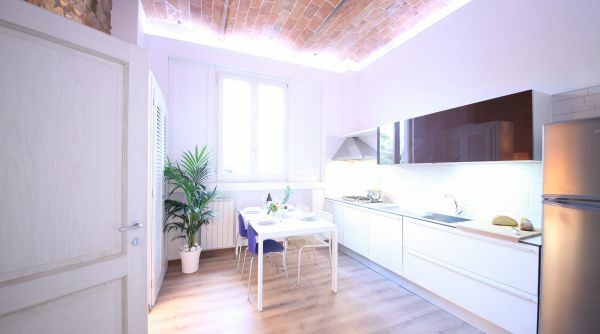 From the main train station of Florence, Santa Maria Novella, you can take the bus number 14 to the stop called LEONE X and then the line number 13 to the stop PONTE ROSSO. 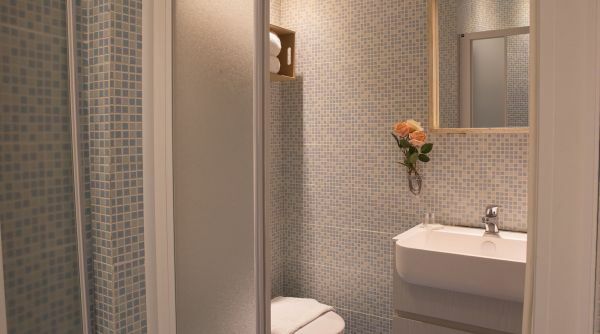 Alternatively, just outside the main train station you can catch a taxi to the apartment within minutes.